MEPs have voted to end the practice of geo-blocking by online retailers. The reason is simple: when an ecommerce company indulges in geo-blocking it doesn't treat all its customers across the EU equally. Some businesses can continue to geo-block depending upon their business sector (streaming movies, football), though this allowance will be under review*. The expanded scope could have a big impact on many online services enjoyed by tech enthusiasts. 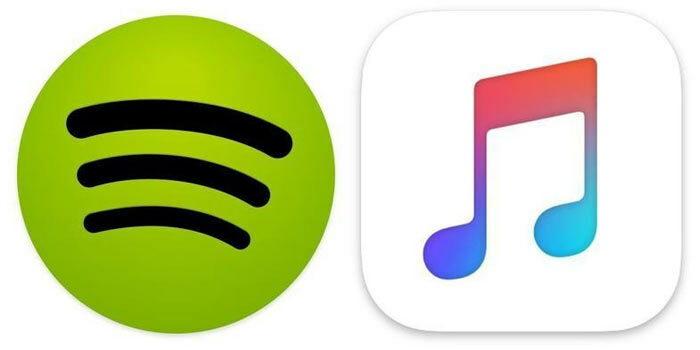 The anti-geo-blocking law now looks set to include the likes of the hugely popular iTunes, Spotify, and Steam. Valve's Steam is already under investigation for geo-blocking and bilateral agreements with games publishers - manoeuvres it has made to maximise income from various geographic areas. In its protests concerning the new proposed laws the music industry said that there could be a 'waterbed effect' - where prices in areas that are cheaper now get pushed up. Róża Thun, Internal Market and Consumer Protection Committee rapporteur, told Reuters "What we want is simple: to end discrimination in the single market, based on people's nationality, residence or temporary location." With this being a draft law, and the timing of things I'm not sure if the UK will be able to benefit from any anti-geo-blocking price adjustments in our favour. Nevertheless, we can still have confidence in Johnson, Fox and Davis getting the UK even better 'red, white and blue' deals from the likes of Valve and Apple. *Sectors such as audiovisual services (including broadcasts of sports events provided on the basis of exclusive territorial licenses), or financial, transport, electronic communication or healthcare services are excluded from the scope of the draft regulation for the time being. However, the EU Commission must assess within three years of its entry into force whether they should be covered in the future, added the committee. Nevertheless, we can still have confidence in Johnson, Fox and Davis getting the UK even better ‘red, white and blue’ deals from the likes of Valve and Apple. Rip-off Britain will long continue and be even worse post Brexit. I hate that we're being pushed into this BS “independence” where the tories will be able to sell us wholesale to the US with no comeback. We'll end up exploited and with our standards eroded all in the name of an overly demanding trade “agreement”. The EU gets quite a lot right IMO. Interesting. I am not necessarily a fan of geo-blocking in all situations, but this does seem a bit of a strange choice to make on the EU's part. The article comes over very biased too imo. If the economies of all countries involved were equal (which yes, is one of the aims of the EU & it's single currency) then sure, geo blocking is pretty pointless and i'm all for it's removal..but as it stands that isn't the case and there are many valid and just reasons for it..chiefly the huge variance in economies/personal wealth around the world. In reality this is just going to be bad news for everyone - no prices will drop, and if I were retailing digitally and had to charge the same price in the whole of the EU..i'd just take the highest one and charge that to everyone. I can't see this as being good for all consumers, if any. As spud1 says, it will probably mean that the lower prices will rise while few if any will come down, so the discrimination will be against those countries (and people) where disposable incomes are low. The same thing happened when the EU meddled in insurance premiums for young drivers - young males are a higher insurance risk than girls and the premiums reflected that. The EU ruled it was discriminatory - so female premiums went up - even though statistically they are likely to be involved in lower cost accidents and are therefore discrimated against.